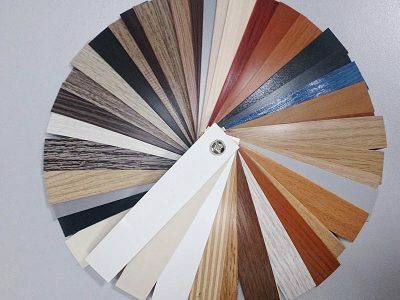 In Leon factory you can also find a huge variety of colors, sizes and qualities of PVC profiles. Their thickness can be 0,45mm, 1mm, 1.5mm1 2mm or 3mm, whereas their width varies from 175mm to 22mm and it depends on the customers’ needs. In order to follow the new trends in furniture industry we are constantly updating our color book. This is one of our first priorities. Alissos undertakes the agency of European companies in the industry of furniture material as well as laminate and wooden flooring in the Greek Market.